“Where is our beloved son Shleimele hanging around?” Rokha demands of her husband at the beginning of Shtetl Love Song. Rokha, the author’s indomitable grandmother, who earns the sobriquet “Rokha-the-Samurai” from her shtetl neighbours for her sharp tongue and bristling manner, is worried that her beloved son is going to end up with an inappropriate bride. Or, God forbid, “some blonde shiksa wearing a cross on her breast”. In fact Shleimele is wooing Hennie, the impoverished daughter of a cobbler. It is the start of a love story, and the beginning of a tale about a world that no longer exists. A world that was brutally wiped away by the Nazis along with their Lithuanian collaborators in a few short months in 1941. “Kanovich makes us feel and see a world that has long disappeared” the Frankfurter Allgemeine Zeitung writes. Grigory Kanovich is one of the most prominent Lithuanian writers, winner of Lithuanian National Prize for Culture and Arts for 2014. 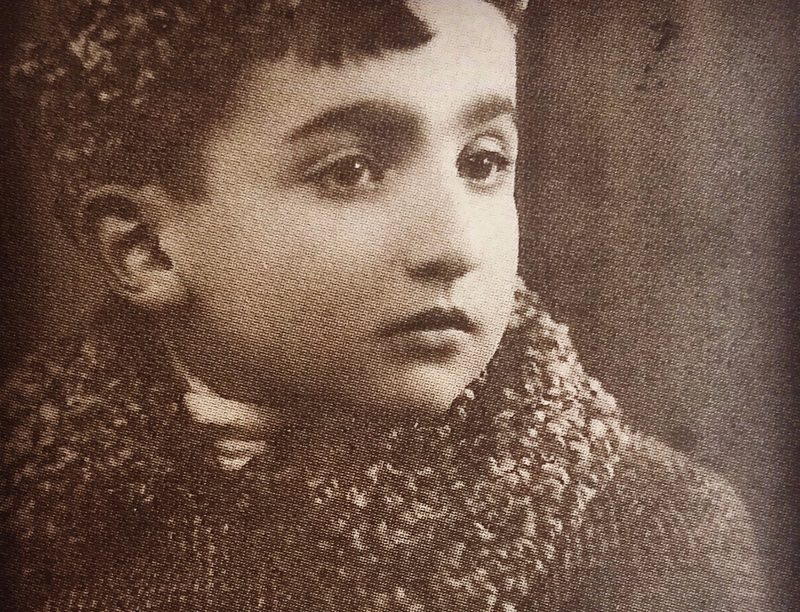 He was born into a traditional Jewish family in the Lithuanian town of Jonava in 1929. Tomas Venclova, poet and Yale professor, has called Kanovich “the last link in the chain” of Litvak literature. Shtetl Love Song traces the story of the writer’s mother, Hennie, the poor daughter of a down-at-heel cobbler. In doing so he draws a vivid and moving portrait of the Lithuanian shtetl, with its poor artisanal workers, the beggar and the rabbi, the shopkeeper and landlords and the firebrand socialist. He traces too the backdrop of a nation in crisis, with the right-wing coup in 1926, the rise of Socialism and its brutal suppression, and, as the 1930s progress, the billowing, dark clouds of anti-Semitism and the threat of war and the invasion of Hitler’s army. In this extract from Shtetl Love Song, Jews fleeing from the Nazis try to force their way onto a train that will take them to safety. There’s no doubt that Mendel and I, more than anyone else, wanted to get to Russia as soon as possible, where we could sleep in a proper bed with a pillow and a cover, not standing up in a smelly cattle car. Grandma Rokha always used to complain that God had never, in her whole life, fulfilled any of her wishes, even though she believed in Him more than Grandpa Dovid did. However, He did fulfill my wish. A rumour circulated among the refugees that on the third track a train was being prepared to leave with women and children and that some empty places could be seen through the lit-up windows of the compartments. The rumour about the empty seats on the train from Dvinsk to Velikie Luki and then to Yaroslavl spurred the refugees into action. They immediately rushed from the platform to the third track, but what they saw from a distance cooled their enthusiasm. Armed guards stood along the whole length of the train. It was easy to guess that the reason for them was to safely evacuate the families of Party members and high-ranking officers to the Russian hinterland. The soldiers guarded the approaches to the train, while women conductors with pocket flashlights scrupulously checked the tickets and the special passes which only the big shots and their children possessed. Over all, there were no more than two hundred refugees attempting to flee the Germans. At first the guards viewed them with puzzled sympathy, but then, when some of the refugees began to approach the train, the guards grew alarmed. However, there were no trains arriving and the refugees were in no hurry to carry out the order. It was easy for him to say, “Wait for your own train.” We didn’t have our own train, and perhaps never would. Whether from the increasing, humiliating hopelessness, or from an audacity aroused by despair, instead of retreating, the first rows of refugees moved closer to the train. “We’ll find out soon enough,” Mama quipped. Caught up in an outburst that pushed aside all doubt and fears, the crowd of Jewish refugees approached the train. Demonstrating loyalty to his oath and devotion to military discipline, one of the guards shouted out. The soldier fired several shots over the heads of the desperate refugees. The shooting did not stop the crowd. Rather than turn back, they advanced on the train like kamikaze pilots, risking not only their own lives, but also those of their children. The stunned guards seemed to conclude that if they opened fire on the refugees there would be a considerable amount of bloodshed and no guarantee that they would able to establish order. What’s more, there might well be consequences, since it wasn’t Germans they were shooting, but their own, albeit new, Soviet citizens. Encouraged by the indecisiveness and confusion of the guards, the refugees broke through the cordon and began to storm the train. By the force of their momentum they pulled the helpless conductresses with them into the train cars and occupied the empty places in the compartments. We too found seats, but none of us were ready to rejoice yet. “What about the others?” we wondered. Hopefully, no one had been killed, crushed, or wounded. “God willing, we won’t be thrown out of here,” sighed the sceptical Velvl, who was accustomed to the unexpected twists of fate. “Rather than throwing us off, they might simply move another train onto the next track, put all the Party officials and commanders’ wives on board and leave us here. It’s possible, isn’t it?” my cautious father said. “Everything is in the hands of our merciful God. What happens does not depend on us,” said Zhabinsky, who was praying in the corridor. I was shifting from one foot to the other next to him. The thought occurred to me that if the Russian passengers and their children were indeed put onto another train and we were left here and the doors were closed, this car would become our prison and, maybe, even our grave. The German pilots would appear in the skies and in two minutes bomb us to pieces. However, I recalled the advice of Grandma Rokha. She used to say, “It’s not right to share bad thoughts with others, since everyone has plenty of their own and it’s a sin to add yours to them.” So I kept mine to myself. Perhaps, for that reason they disturbed me even more.